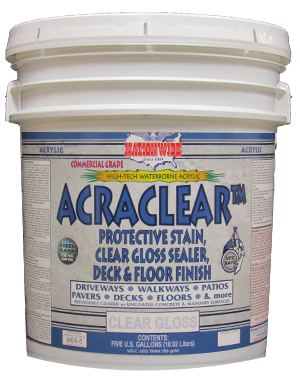 ACRACLEAR™ - The Best Concrete Sealer! Acrylic is the Best Concrete Sealer! 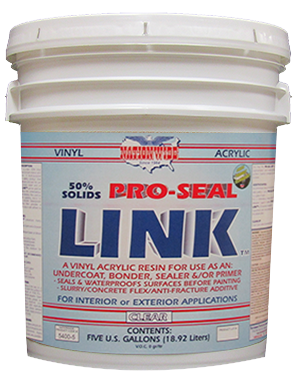 It's a clear penetrating concrete sealer, preservative and concrete paint sealer. 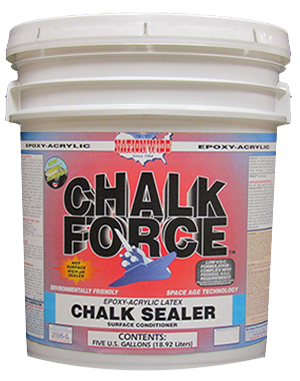 Non-yellowing clear sealer that effectively protects against efflorescence, chalking, erosion & cracking. For uncoated or previously coated/stained surfaces. Excellent adhesion with abrasion, chemical, U.V., and hot tire pick up resistance. Check for compatibility on previously coated surfaces. Easy application and water clean up. Weight per Gallon: 8.6 lbs. Download Data Sheet Request Information Now! 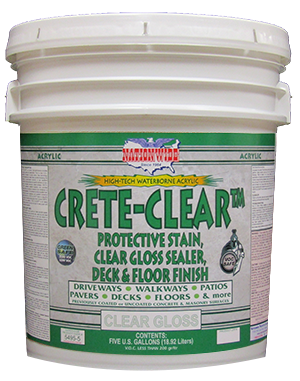 Clear Acrylic Commercial Grade Penetrating Concrete Sealer, Preservative & Protective Finish. Excellent Abrasion, Chemical & Hot Tire Resistance. For Coated/Uncoated Concrete.